We sell it at AS IS,WHERE IS. The following conditions are optional at extra cost. 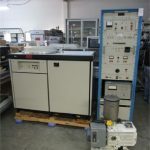 Refurbished condition with installation and warranty if necessary. The following info from OEM (TES) is only for your reference. 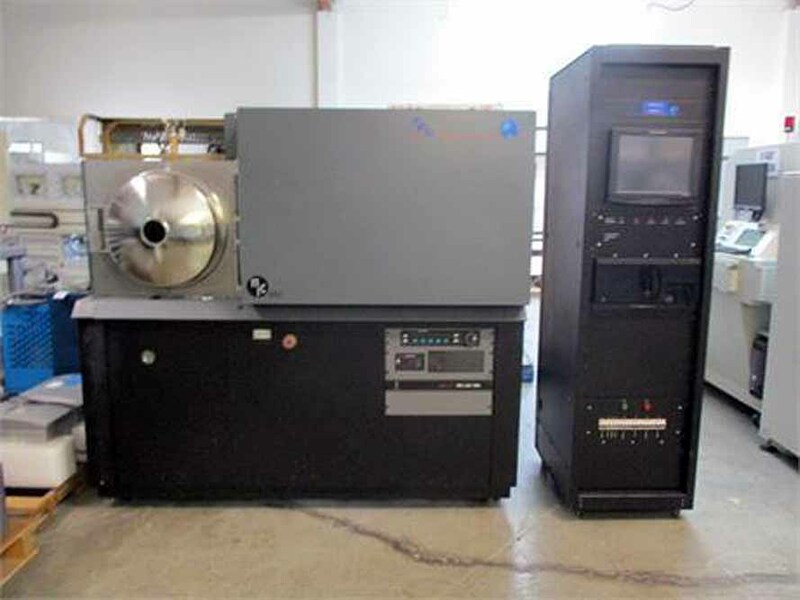 The TES-600 (horizontal process) & TES-900 (vertical process) series sputtering systems offer a fast cycle, dual level load lock capable of exchanging a completed 12” x 12” pallet load of substrates with a new pallet load allowing continuous operation. The pallet of substrates travels in a linear motion in front of up to three 5” x 15” magnetron cathodes. With the pallet scanning in front of the rectangular cathode the substrate deposition uniformity of +/-5% is achievable and target utilization is excellent. RF etch and substrate heating are in the process chamber. 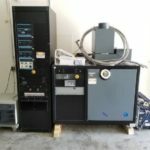 To build the most reliable thin film equipment we incorporate GE Fanuc system automation control software and hardware. The system automation package allows the process engineer to develop a complex recipe. 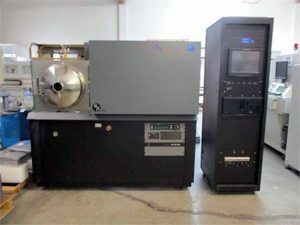 Once the recipe has been developed an operator can load the substrates and press start. The system software will run a repeatable process every time. The fast cycle load lock eliminates the need to vent the process chamber to load substrates thereby reducing the pump down time along with reducing contamination of targets and interior chamber surfaces. 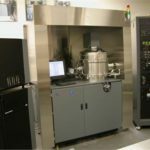 Typically the TES-600 & 900 series sputtering systems will be able to automatically transfer the substrates from atmosphere to the process chamber and achieve a base pressure of 9 x 10-7 torr in less than seven minutes. 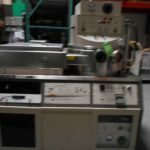 Share the post "MRC 603 MRC 693 TES-600 sputtering system"